Don't worry, we will only contact you occasionally with our news and will never share your details with any third parties! We’re really excited to be able to announce our judging lineups. Here’s the judges who will be picking our Community Winner. Remember you can get tickets here. James Davey is one of the UK’s most distinguished and respected young choral directors, in demand for his work as conductor, choir trainer, choral education practitioner, arranger and adjudicator. A graduate of the MA Choral Education course at Roehampton University, James is Musical Director for; Chantage – BBC Radio 3 Choir of the Year 2006, the Chandos Chamber Choir, the Aylesbury Festival Choir, the Fleet Singers and a number of work-place choirs, including staff choirs at Channel 4 TV and the London Mayor’s staff choir at the Greater London Authority. Formerly the chief choral advisor for the BBC’s sheet music archives, James regularly conducts and prepares choirs for broadcasts on TV and Radio, and he is also a choir trainer for the Royal College of Music Junior Department, a Guest Conductor for the National Youth Choirs of Great Britain, and a tutor for the Cranleigh Choral Week, the Ingenium Academy and the Sherborne Summer School of Music. 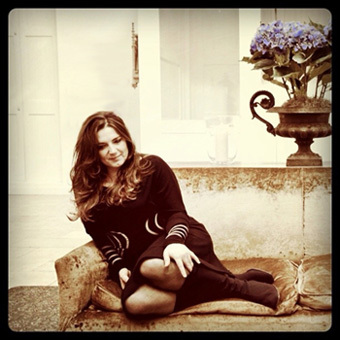 A graduate of The Royal Academy of Music, Jo began her singing career performing with the internationally acclaimed Swingle Singers and spent over six years touring world renowned music venues (La Scala, The Royal Albert Hall, and Ronnie Scott’s) and working with world class conductors such as Zubin Mehta and Antonio Pappano. She has since been much in demand on the London session scene recording albums, TV and film soundtracks (Spectre, The Hunger Games Trilogy, Lord of the Rings, Harry Potter) and often performs with London’s leading vocal ensembles. 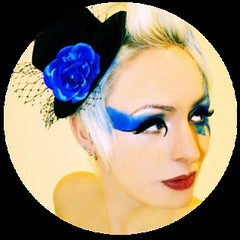 Jo also works as a soloist and a jazz singer (The Jo Marshall Trio, Cubana Bop). She is a choral director and vocal tutor for Blackheath Centre for Singing and has led a cappella master classes and choral workshops all over the world. Since gaining her Bachelor of Music, Rachel has been teaching singing, composing songs and performing extensively. 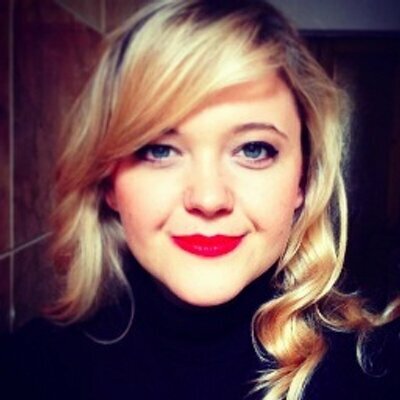 Rachel has also been the BRIT awards correspondent for BBC Somerset, and has judged choral contests, Show Choir Championships and taught Musical Theatre masterclasses in the UK, Canada and Ireland. She also composed the music and lyrics for two musicals that were performed in Somerset. 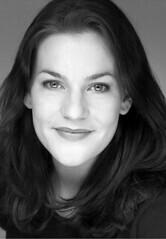 For four years Rachel was the Musical Director of the UK’s top show choir, Euphoria. The group won many awards and performed in New York, Dublin, Hollywood and at the Royal Albert Hall. In addition to arranging and teaching all the music for Euphoria, Rachel also composed original songs that were recorded by the choir for the album Hollywood Bound. One of these songs was the anti bullying anthem Body On Mute which won numerous awards, was the anthem for the charity Beat Bullying and has now been adopted by The Diana Trust to help raise funds for their anti bullying projects. Body On Mute was performed by Rachel and the choir on stage in New York, Dublin on BBC radio, live television in Canada and on Sky television. Some of the performances were filmed and have received wonderful comments on YouTube from those currently struggling with the effects of bullying. The lyrics for the song have also been featured in an article written about the choir in the top American Show Choir magazine, and are now on a range of American Apparel t shirts. Body On Mute has also been played on radio stations across America as part of Songs for Social Causes. Rachel is also a prolific arranger, and has been commissioned to write custom arrangements for vocal groups and show choirs across the world. Rachel is currently studying for her Masters in Songwriting. She enjoys collaborating with other artists on new songs, and is currently working on a new album. Rachel is honoured to have been made a Fellow of the RSA (Royal Society for the encouragement of Arts, Manufactures and Commerce) in 2014 and a member of BASCA (The British Academy of Songwriters, Composers and Authors) in 2013. Writing music has always been central to Sara Colman. Across all three of her albums, original music has been a consistent theme. During 2010-11 whilst studying for an MA in Songwriting, Sara collaborated with her brothers Mat and Andrew on Sem Amor and Some Other Wonder for the eponymous Colman Brothers album. Sara has also completed several commissions for larger vocal groups: Seven Songs for Seven Colours for Black Voices, as well as Celebrate and Amen for choral projects presented at Lichfield Cathedral and Birmingham Town Hall. Sara was a recipient of an inaugural Birmingham Jazz award, a Jerwood Rising Star at the Cheltenham Jazz Festival and one of 10 finalists from 15,000 entries in the BBC Radio 2 songwriting competition ‘Sold on Song’. She was also Kevin Mahogany’s chosen artist in the Jazz Connect Vocal competition in the US. Dominic Peckham is regarded as one of the UK’s finest young and dynamic orchestral and choral conductors. 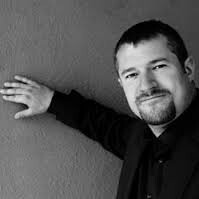 Hailed as ‘one of the most exciting conductors of his generation’, Peckham has been commended at home and abroad for his ‘freshness and vitality’, directing both orchestras and choirs whilst delivering ‘gutsy, raw and exciting performances’. A conductor of immense energy and focus, Peckham is renowned for his dedication to the Renaissance and Baroque era, whilst also passionate about the delivery of new works and inspirational collaborations. Peckham has been commended by reviewers as ‘a lithe and modern Handelian…’ and ‘a latent star…’. He has worked with orchestras including BBC Philharmonic Orchestra, City of Birmingham Symphony Orchestra, BBC Scottish Symphony Orchestra, The London Mozart Players, The British Federation of Youth Orchestras, Scottish Opera and has marked his debut at The Royal Albert Hall, Barbican, Birmingham Symphony Hall, Usher Hall, Bridgewater Hall and Wigmore Hall. In addition, he has prepared performances for contemporary conductors Stephane Deneve, Richard Hickox OBE, Bernard Labadie, Edward Gardner, Simon Halsey, David Hill, Christopher Bell, Vassily Sinaisky, Sir David Willcocks, Lorin Maazel, Stefan Bevier and John Rutter. In 2014, Peckham was invited to be Guest Chorus Master at English National Opera and worked on the highly acclaimed world première of ‘Thebans’ by Julian Anderson for the company in their 2013/14 season. The production received fantastic reviews and critics praised Peckham and the chorus for ‘their immense levels of intensity’. In autumn 2014, Peckham returned to the London Coliseum for productions of ‘Xerxes’ and ‘The Girl of the Golden West, working with leading lights such as Nicholas Hytner, Keri-Lynn Wilson and Michael Hofstetter. In addition to his Musical Directorship at The London Oriana Choir, Peckham holds an impressive array of posts including Artistic Director of The Royal Opera House’s ‘RM19’ Youth Chorus, Assistant Music Director of The National Youth Choirs of Great Britain (with whom he conducted a critically acclaimed recording of Benjamin Britten’s Choral and Organ works), Artistic Director and Founder of iSingUK, Artistic Director of The Fourth Choir, Director of The Ulster Youth Training Choir and Guest Conductor for Aldeburgh Music, for whom he recently premièred their ‘Friday Afternoons’ commissions with the Jubilee Opera Chorus. Always keen to promote and support new music, Peckham has comissioned many new composers and conducted an array world premieres, notably Oliver Searle’s ‘Pride, Poverty and Pianos’ for the BBC Scottish Symphony Orchestra, Tpby Young’s ‘Love and Harmony’ for The London Mozart Players. As a talented composer and arranger himself, Peckham’s most recent premières include works with The National Youth Jazz Collective and The National Choirs of Great Britain at the Barbican. Dominic was Chair of the judging panel for The 2014 British Composer of the Year Choral Category. Clare grew up in Kenya before moving to Manchester to attend Chethams School of Music, where she trained as a classical violinist and also studied classical voice. During this time she met bassist Steve Berry of Loose Tubes, and started getting into jazz. She followed on to Guildhall School of Music and Drama in London to study composition and voice on the jazz course under Lee Gibson, Pete Churchill and Tim Garland, as well as classical singing with Penny Mackay. Clare freelanced in London as a jazz singer, composer and arranger, and taught Music Theory and Harmony at the Academy of Contemporary Music, before joining the internationally renowned Swingle Singers in the summer of 2007. Although the group takes her abroad for much of the year, she still writes prolifically for her own ensembles. Perfect Peckham gets Original Singers on the right track! 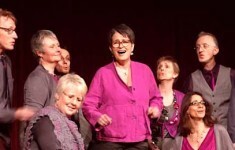 This is a guest post by Peter Brill, member of Bristol-based community a cappella group, Original Sing. If you had paid a significant sum to attend an a cappella masterclass (even if some of it was a very generous Voice Festival prize) and hadn’t sung a note after one hour and 20 minutes, most groups would be asking for their money back. 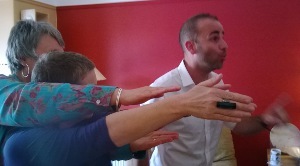 But this particular workshop was with Dominic Peckham – former Royal Opera House-chorus-member-turned-conductor – whose choral leadership star is now rising rapidly in the a cappella firmament and whose masterclasses are, quite simply, out of this world. 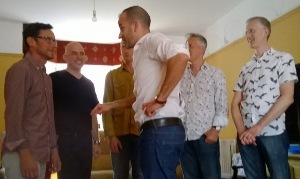 For Original Sing, Bristol-based 2013 Voice Festival Community Champions, the first hour or so of Dominic’s dedicated masterclass was, in many ways, the most valuable. This isn’t to take anything away from the remaining five hours or so that was spent in the company of an inspiring, perceptive, highly technical, often demanding and frequently funny maestro. Yet the opening session, with its focus on posture and position, led to a transformation in individual and ensemble sound that was to last for the rest of the day and well beyond. Much of the workshop focused on minute detail, such as pronunciation of vowels, which would ordinarily seem tedious and even irrelevant. But the reality for a group that is trying hard to take an already well-rehearsed, well-honed sound to the next level, is that these tiny details matter. Everyone found enormous inspiration in hearing our 12-voice version of Whitacre’s Water Night dramatically improved simply by ensuring that each word was pronounced in exactly the same way and with an identical mouth shape. Throughout the session, Dominic dropped in small hints, tips and ideas – from warm-up routines to leg and foot positions – which turned on individual light-bulbs for everyone in the group. 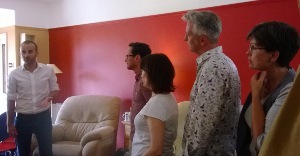 In fact, there was so much to take in that the session had to be videod for future reference. His highly personal and personable approach made it easy to learn and even criticism was delivered in a way that made it seem like a compliment. It is little wonder that Dominic is in such high demand from some of the best choirs and chorus’ in Europe. His insight can turn ‘good’ into great, aspiration into inspired, and that is worth its weight in gold. When we first heard about the Voice Festival UK, I was excited that at last, many more people were getting into a cappella singing and taking it seriously. And that of course would mean new friends, new opportunities, new chances to learn. But most of all, it meant we (my lot, Original Sing) weren’t doing it on our own any more. Nearly all of us were formerly members of the group Naked Voices, which grooved up and down the country gigging everywhere for 10 years up until 2008, including the Edinburgh Fest 3 times, having a ball. But during all this time we were sitting in a bubble talking to only ourselves, because we so rarely encountered any other a cappella singers. When Naked Voices closed down with the retirement of the MD, 2/3 of us were desperate to keep singing. For various reasons we couldn’t keep the old name and had to start a new group. But in so doing, we had to start again from scratch to build up a new reputation. Our self esteem took a *big* hit. Without the name, would anyone come to our shows? Would we be able to actually make it without our old leader, teacher and mentor Dee? Were we *good enough* on our own? We spent a LONG time taking our music apart, piece by piece, going back to absolute basics to work out what we could improve, how and where. I only ended up as MD by dint of being the one who refused to give up or give in no matter what, flying by the seat of my pants the entire way! So you see, we went from success to collapse, to rebirth but with confidence dented and no way to know if we were on the right track. And that’s why the Voice Festival accolade has meant so much – it is VALIDATION and uplift. Recognition from our peers and from such sh*t hot judges means we that CAN still do it and all the work we’ve put in trying to rebuild ourselves has paid off. The VF Community Championship win has been a massive shot in the arm of adrenaline and confidence. And that is priceless. The 6 months since then has been a bit slow for various reasons, but we’ve had some fab moments. 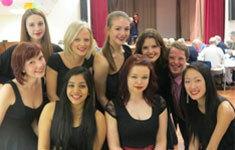 We brought the house down in London for the Brandenburg Choral Festival in March. And in recent Bristol gigs we’ve been keeping up our sob rate of 10% (that’s the % of the audience who are openly sobbing by the end of the show – for some reason they find what we do rather moving). We’re currently working towards our annual outing at the Bristol based Festival of Song (see www.festivalofsong.org.uk), a massive 120 singing shows in 9 days. A blast if you’re out this way in October. So thank you to everyone at VF-UK for your kind support. We look forward to being part of the Voice Festival for many years to come I hope and to sharing together this gorgeous thing that we all do with new friends up everywhere. See you all again in the new year. The Voice Festival UK is a charity dedicated to bringing people together through music. We aim to cultivate a cappella communities in the UK by providing learning, performance and networking opportunities. To achieve this, we rely on the generosity of our volunteers and supporters to ensure we meet the needs of our a cappella community, which includes individuals, school and youth groups, university groups and community groups across the country. By making a donation to the Voice Festival UK, you help make our events happen! If you have a special talent or some time to spare, please join our team.